For an industry that didn’t even exist until a few years ago, the online video streaming space is suddenly looking rather crowded. Several players currently offer several different kinds of plans, and have jostling to grab the most eyeballs possible. And it isn’t about discounts any more — Amazon, which for the longest time had been offering its Amazon Prime subscription for just Rs. 499 a year, says it’s now going to soon raise prices to Rs. 999. Amidst all this, Hotstar remains at the top of the pile of online with 67 million unique viewers, data from App Annie shows. Hotstar manages to retain the to position despite stiff competition from JioPlay, which is second with a shade over 45 million viewers. Amazon, who was the last entrant to the field, has quickly managed to garner around 12 million regular viewers while Network 18’s Voot comes in fourth with 11 million. Netflix, the global leader in the space, is fifth with 5.67 million viewers in India. It’s a dominant performance from Hotstar, which has remained the number one online video provider in India over all of last year. Hotstar’s performance seems to be somewhat aided by the fact that it offers the widest free selection of any of the services in the fray, even offering lucrative cricket matches for free on its service. At the other end of the spectrum is Netflix, offers no free content at content at all, with all its programming behind a paywall. In terms of minutes used, Hotstar once again emerges as the most popular service with users consuming 15,574 million minutes. 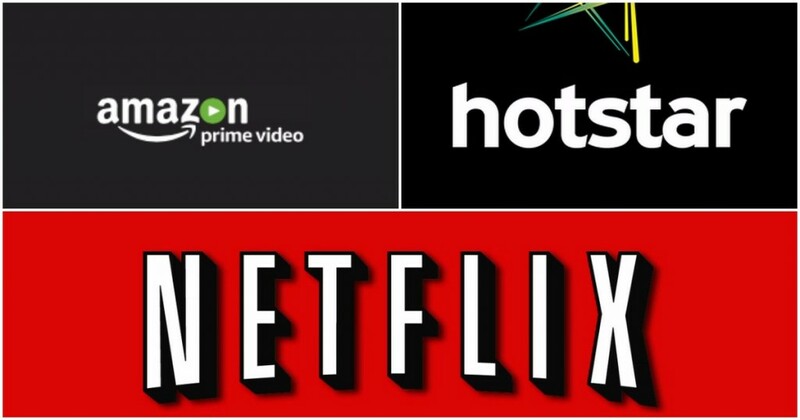 The order remains the same as in the active users classification, with Amazon and Voot swapping places — even though Amazon has more active users than Voot, they end up watching its content for slightly less time. But there is more price churn in the offing for the industry. Hotstar doesn’t appear to be content with its number one position — it’s come out with a annual plan for Rs. 696, which squarely pits it against Amazon, whose Prime Plan was Rs. 499 a month. Amazon, though, is moving in the opposite pricing direction — it’s said it’ll soon raise prices of its annual plan to Rs. 999. Netflix, for its part, hasn’t been sucked into the price wars yet, and continues to offer a cheapest plan for Rs. 500 a month.